On Wednesday 12th March, 2014, The AllStars Collective were the house band at A Night of Reggae for Save the Children. This unique event, which was co-hosted by Helena Bonham-Carter and Sir Alan Parker raised £1.4m for the charity. The AllStars appeared as a 16-piece band and performed with Jimmy Cliff, Ernest Ranglin, legendary rhythm section Sly & Robbie, Suggs, Ali Campbell and Astro from UB40, Dawn Penn, Maxi Priest and newcomers Max Stone and Island Records signing Elli Ingram. 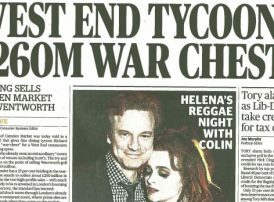 The event made the front page of the London Evening Standard as well as other mainstream press.